The French president angered Italy and exposed the limits of his ardor for the European Union and free markets by nationalising STX France. The silver lining is that he has a better chance of pushing through reform if he makes a show of protecting jobs and the national interest. 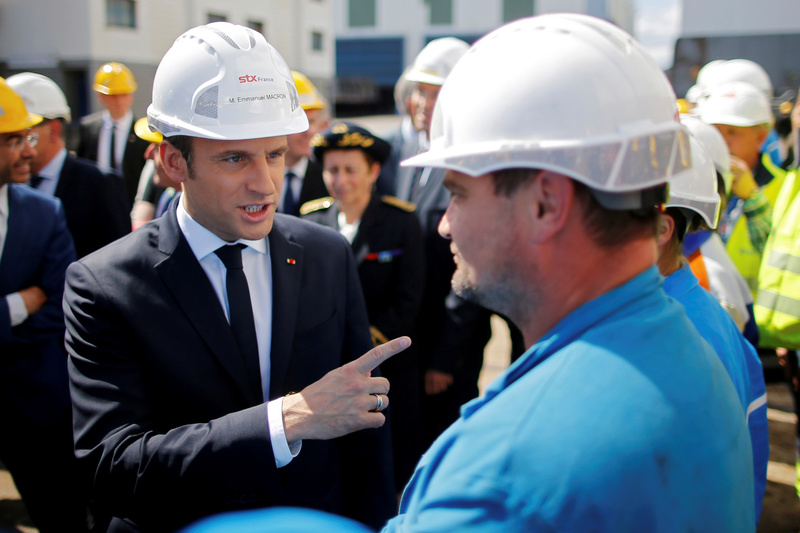 France will temporarily nationalise the STX France shipyard to prevent an Italian firm taking majority control, Economy Minister Bruno Le Maire said on July 27. He added that the move was designed to buy time for negotiations. Italian state-owned shipbuilder Fincantieri had reached an agreement in May to pay 79.5 million euros for two-thirds of STX France, which is being sold because of the collapse of its South Korean parent, STX. The French state, which had a minority stake, exercised pre-emption rights to buy out other shareholders before those rights expired at the end of the month, after Fincantieri rejected a French proposal for a split 50-50 ownership. Italian Economy Minister Pier Carlo Padoan and Industry Minister Carlo Calenda said in a joint statement on July 27 that France's decision to nationalise the shipyard was “grave and incomprehensible”.